Big win for for Angelic Spirit. Astonishing run by Glen Boss aboard Siam Blue Vanda. On the same day the career of Chautauqua has been celebrated with a farewell at Flemington, Coolmore Stud has announced the death of the sprinter’s sire Encosta De Lago. 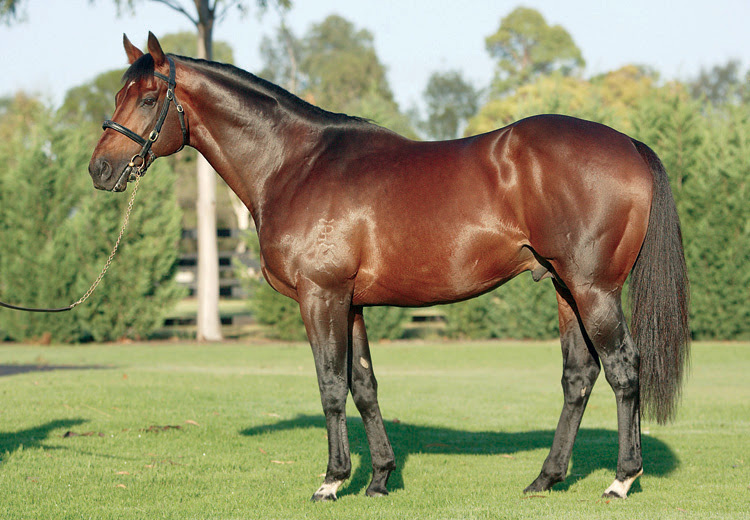 A multiple champion sire and the reigning champion broodmare sire, Encosta De Lago is one of the greatest Australian-bred sires. He produced 26 Gr1 winners worldwide headed by six-time elite winner Chautauqua, the one-time highest rated sprinter in the world. Among Encosta De Lago’s other Gr1 winners are Racing To Win, Alinghi and English. The 25-year-old was retired from stud duties two years ago and spent his final days at Coolmore Stud in the NSW Hunter Valley. “‘Encosta’ will be greatly missed by all who dealt with him at Coolmore over the last 14 years,” Coolmore Australia principal Tom Magnier told Just Horse Racing.com. “He was a horse with a beautiful nature and we were incredibly lucky to have him. “His legacy will live on through his sire line descendants like Zoustar and Rubick, as well as through his daughters, who have already made him champion broodmare sire. He enjoyed plenty of success with his South African based runners and from 32 runners in this country, Encosta De Lago has been represented by 25 winners – a total which includes 8 stakes performers. Encosta De Lago’s best local representatives include champion 2yo Delago Deluxe and Derby winner Dan De Lago – with both colts having subsequently been retired to stud, in Australia and South Africa respectively. Their paternal half brother, Safwan, was another decent local performer in this country, with the gelding’s best performances including a memorable dead heat in the Gr2 Betting World 1900 of 2011. Echoes of Heaven under new ownership and management. Echoes of Heaven has been purchased by Newmarket Stud Limited and has returned to Redoubt Road in Cambridge where he will stand over the 2018/19 season. The purchase was made possible by Bloodstock Agent Grant Boyes and this season Echoes of Heaven will be under the watchful eye of Studmaster, Julian Czerpak. Providing the beginning of a great day for the stable - two runners, two winners - Gregorian Chant is an exciting filly who looks to be going places on the back of a dominant maiden victory at Bendigo on Sunday. A short priced favourite having run so well without a great deal of luck (sitting wide) at her Moonee Valley debut, the attractive chestnut again did a bit of early work before eventually gaining cover mid-field. Travelling well for Michael Dee, she was clear into the straight and was quickly chasing the three leaders, hitting the lead with 200m and racing clear to win by a length with her ears confidently pricked! "She had taken a good bit of natural improvement off that first up run," Mitchell said, impressed by just how well she pulled up from that demanding contest. "She had a pretty tough run out three wide posted on the speed, I thought she was entitled to drop out in the straight but she toughed it out and found the line well." "She bounced off that run really well, did well in the feed bin and pleased us at home so I thought it was a good idea to take her to the races again - and the step up to 1400m today was ideal." "She got a bit fired up early," he continued, "but it looks like she is slowly picking up her craft. I don't think she loved the going but the fact that she is going to get out a bit further and that she has probably got a bit of class on her side enabled her to get the job done." Due to have a break, Gregorian Chant will either have a crack at the spring or be saved for Adelaide a bit later on - "she is still learning," Mitchell said, "and we won't rush her." Riding Gregorian Chant for the first time, Michael Dee was impressed. "She didn't really handle the ground that well and she is still very very new - she won on pure ability and there is a lot to come for her." "Once she learns and takes it all in her stride and gets a bit of confidence I think she'll go a long way... and she will definitely get up over 2000m. As soon as I got cover she relaxed beautifully, she almost came back too much underneath me!" An OTI Racing purchase off a trial in New Zealand, Gregorian Chant is a daughter of the regally bred Port Adelaide Guineas winner Echoes Of Heaven - full brother to successful stallion Manhattan Rain and half-brother to champion stallion Redoute's Choice. She is out of the winning Viking Ruler mare Norse Affair, also dam of the winner Tavlin from the family of stakes winners Focal Point, True Colours, Spray and Over To You... and futher back this is also the family of successful stallions Miswaki and Southern Halo. Served last spring by Power, Norse Affair has a weanling filly by Tavistock. article: courtesy of Kristen Manning.